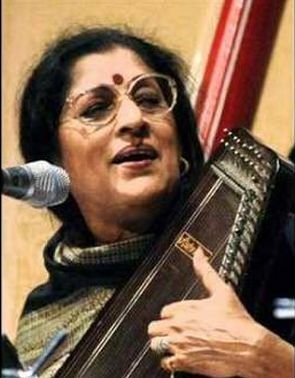 Renowned Hindustani classical vocalist Kishori Amonkar passed away in Mumbai on Monday after a brief illness. She passed away at her home in central Mumbai, family sources said. Born on April 10, 1932 in Mumbai, Amonkar was recognised as one of the foremost singers in the Hindustani tradition and as an innovative exponent of the Jaipur gharana. A gharana is a community of musicians sharing a distinctive musical style. She was known primarily for her skillful singing of classical khayal songs set in the traditional ragas of Hindustani music, but also performed the lighter classical thumri repertoire, bhajan, devotional songs and film music. Regardless of musical genre, her performances were marked by vitality and grace.